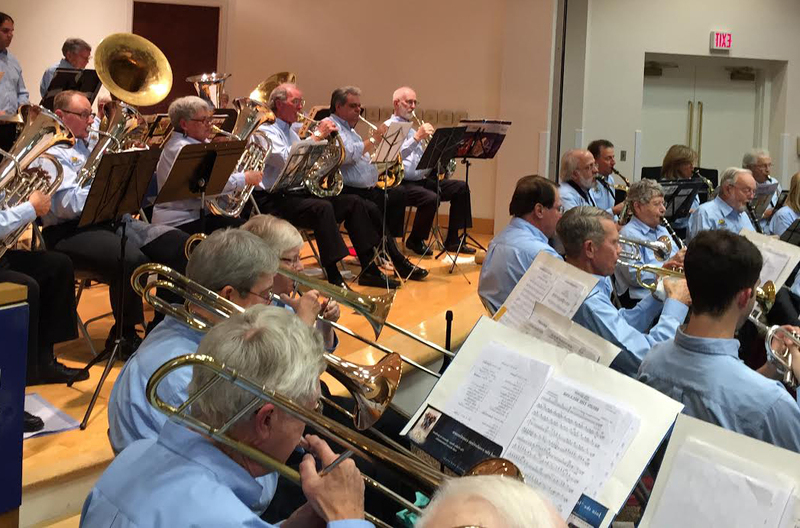 The 50-plus members of the New Horizons Band welcome those who haven’t played for years—or who have never found the time to begin—to drop in on one of their friendly rehearsals at St. Barnabas Episcopal Church in Montgomery (10345 Montgomery Road). Except for its summer hiatus, the band rehearses every Tuesday and Thursday from 9:30 to 11:30 a.m. with a mid-morning coffee break! Find out more about our rehearsals and upcoming events. Professional instructors and an introductory band can help former band members brush up their skills or assist them in getting started. To underwrite an experienced director, professional instructors, and music, the band charges tuition of $140 twice a year. Newcomers planning to visit a rehearsal are encouraged to contact Don Rhoad at 513-793-0473 or by email at drhoad@cinci.rr.com. Take a look at some of our members – A Short Bio of Each. Rentals can be arranged through Buddy Roger’s Music. Visit Buddy Roger’s Music or call 513-729-1950 or 800-536-2263.